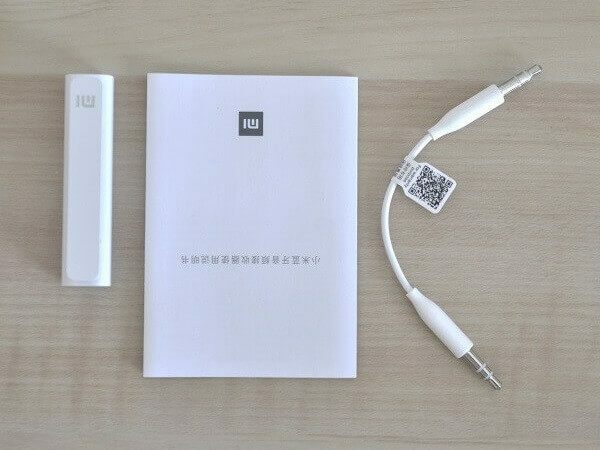 Xiaomi Bluetooth Receiver is a nice little gadget that lets you “convert” any existing wired headphone, earphone or wired portable speaker to a wireless device. Following Xiaomi tradition in designing cool affordable products, This little toy is very simple to operate by simply connecting the audio device through a simple audio jack, and enabling the Bluetooth feature by pressing the on/off button for the pairing it with any enabled Bluetooth device, for example, a mobile phone. The Bluetooth dongle comes in white color and a clean design as expected from Xioami. It’s very compact in size and lightweight weighing only 10 gr. To feel more comfortable carrying the dongle, for example when doing sports activities like running you can use the clip and attach it easily to trousers or a shirt. As for interfaces, you have two. One hole on top for the Headphone Jack, and in the bottom a Micro USB port for charging the device built-in 97mAh battery via PC or 5V 1A charger.That said, Also important to mention that Xiaomi didn’t provide a USB Cable with the package, but you can use any standard mobile phone cable in hand. Looked very high quality. 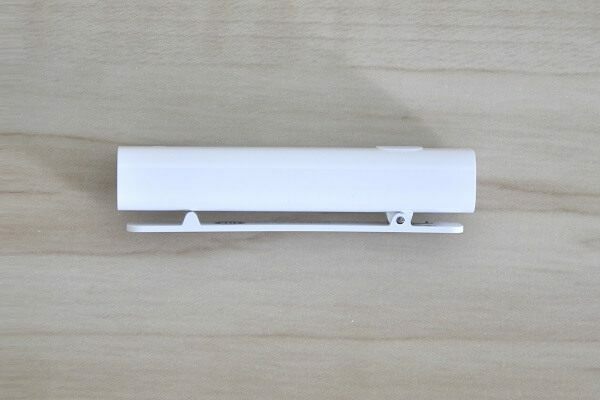 The main body/shell of the dongle is made from metal with two plastic enclosures on the sides for the interfaces. The Bluetooth receiver dongle is very simple to operate. Although this product was designed for the Chinese market, there is no need to use the provided user guide in the Chinese language. When the battery is low or there is a disconnection problem between the dongle and the paired device, for example, an Android set-top box or a phone you will get voice prompts in the Chinese language. To connect it with a phone or other devices you will need to first enable the Bluetooth function. Press on the dongle on/off button. In this state, the LED light will start blinking randomly in pink and orange colors. Once the device is recognized as ‘Mi Bluetooth Audio Receiver‘ and selected in the phone, the light blinking will stop and both devices will be paired. Xiaomi included a short 3.5mm Male to Male Stereo Audio Aux Cable that can be used to connect the dongle to other appliances, such as speakers that don’t have built-in Bluetooth support. If you are planning on using the dongle with a wired headphone or an earphone this cable will not be needed. Bluetooth technology is limited when used in closed places where there are walls or other objects that can easily interfere with signal reception. According to my few tests, the receiver device worked well and tested in an open space environment in a distance up to 10M. When the dongle battery is out of power (discharged) and needs charging via USB port it will flash in pink and orange colors until a voice prompt Chinese language is heard following a complete automatic shut down. Once you connect it to a USB port for charging, the lights will start flashing again. In this state, the light will continue to flash until they completely stop, indicating battery is fully charged. Based on my personal test, it took aproxmetly 2hr:30 min to fully charge the unit. An excellent mobile accessory with great sound quality that will be very handy for users that already have existing High-Fidelity headphone or headphones, and want to use them wirelessly. Bottom line, It’s defiantly another great xiaomi product worth buying.